Hey everyone! The days just go by so quickly... it's Wednesday and time for a reminder of the current challenge over at All That Scraps... we want to see your Paper Piecing projects! Ima Butterfly from last year's release is one of my fave Swiss Pixie girls. She's so cute with her boots and gorgeous wings! 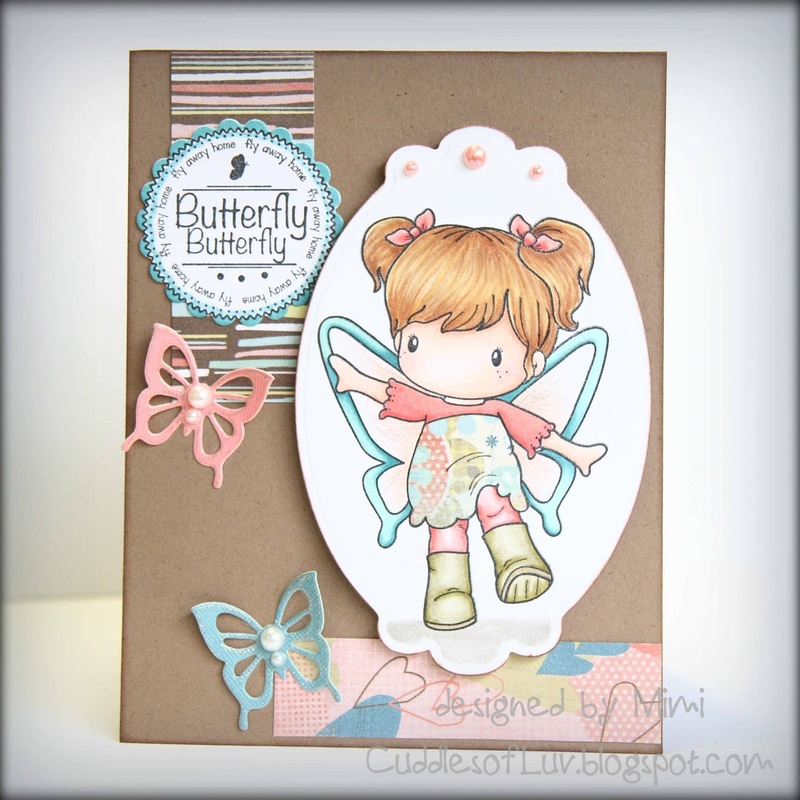 The sentiment stamp is from the Spring Logo set, and also a couple of butterflies from the CC Cutters Butterflies Dies. I'm trying a different type of card design this time, inspired by the cute CAS cards from my blogging friend, Alice. It's a great way to use up some scraps too! Stop on over to the ATS Challenge blog to see more fabulous ideas from the team. Have you checked out all the new releases at ATS? 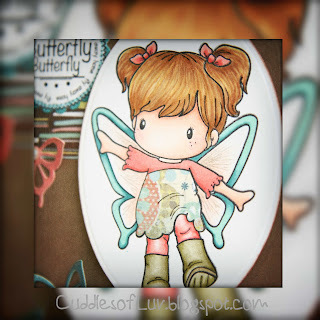 The theme this month is Butterflies and Fairies! Check them out here, and they are all available at the ATS store now!! So adorable, Mimi - I love how you used the colours! Awww....she is a cutie patootie! You have colored her so beautifully! Perfect card for our March challenge at Oozak - thanks for joining us! Just adorable. Love the colors and the die cuts you used. Thanks for joining us at Color Me Creative. Good luck on the challenge. We love seeing your creation. Super sweet! Love the soft colors! Have a great Monday! Love your coloring and all the different elements!